For Fantastic Negrito, the blues isn't just a genre, but a lifeblood — one that he oozes through and through. 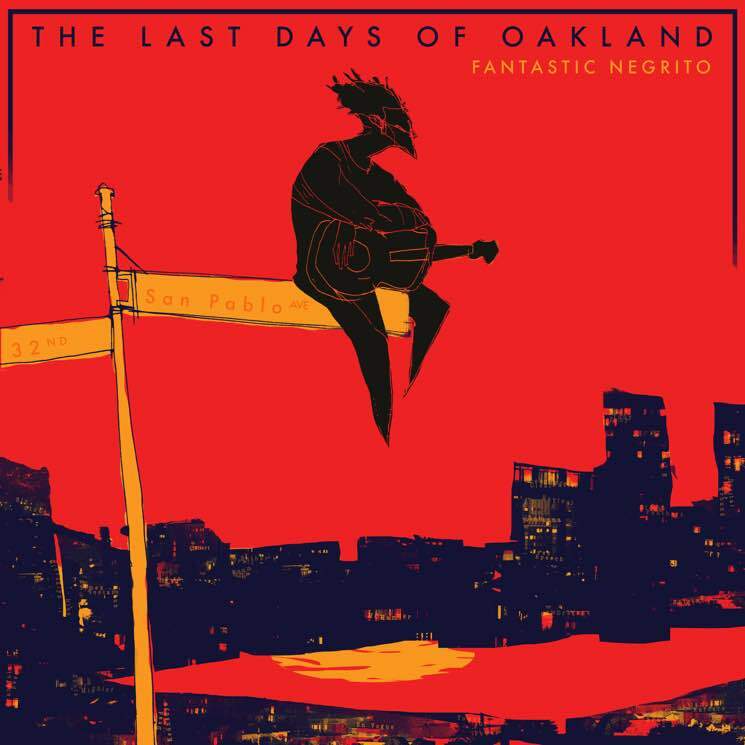 That fact is audible throughout his latest album, The Last Days of Oakland. Case in point: standout track "About a Bird," which boasts plinking piano keys, hoarse singing and climactic hand claps that add up to a searing, raw Robert Johnson-esque hymn. "The N***a Song," meanwhile, sounds like a long lost Muddy Waters B-side, thanks to its boulder thud stomps and equally heavy piano playing. But this is by no means a strictly traditionalist release. Several of-the-moment aspects make The Last Days all the more vivid, especially on "What Do You Do (Interlude 1)," which features percussion that sounds like shackles being dragged by a chain gang over audio snippets of African Americans sharing horrific accounts of police brutality. Fantastic Negrito is equally forward-looking on a sonic level throughout "Hump Thru the Winter," where he sings of working "three jobs to pay the bills" over an electric guitar riff worthy of any hard rock anthem. Unfortunately the song later veers into hip-hop lite beats that would have sounded cheesy and dated a decade ago. "Rant Rushmore," on the other hand, is a far more successful attempt at fusing blues with other genres like rock and gospel, thanks to its revving riff and organ notes that screech like bald tires on pavement. It's further served by Negrito's Prince-like falsetto, which sounds perfectly suited to a speedy little red corvette.